Aqua Moda Steel Staffora 1.8m Garden Water Feature with Pebble Pool and Mutli coloured LED Light will enhance any garden or patio. 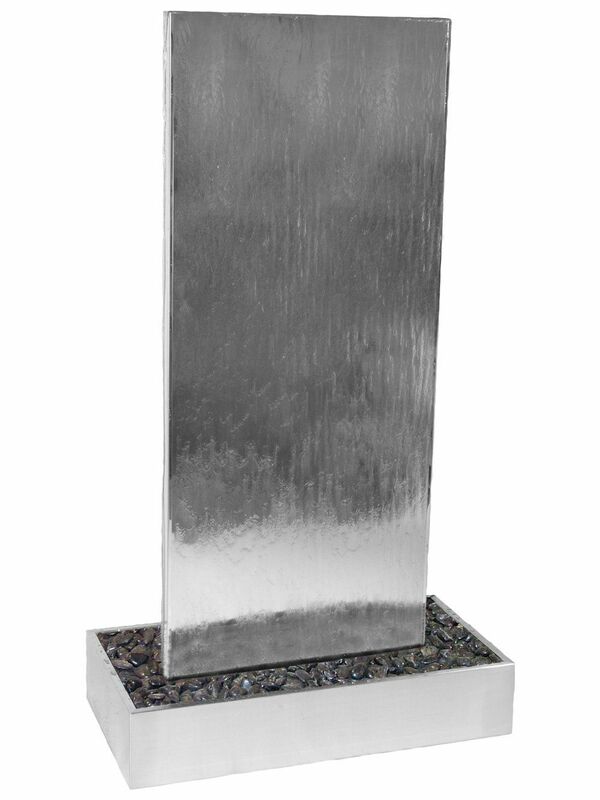 This feature is made from grade 304 stainless steel. Each feature will be totally individual and unique. The included LED light illuminates the feature at night time making it enjoyable both day and night.